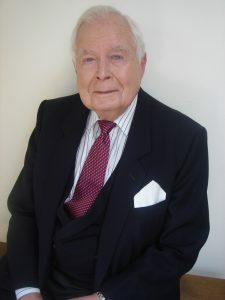 Robert Bundy, CAPP, co-founder of what would become IPI, passed away May 8 at his home in Toronto. Bundy was valedictorian of his class at Riverdale Collegiate Institute. He volunteered for service with the Royal Canadian Navy, serving as an officer aboard several destroyers and the aircraft carrier HMS Furious; in 2015, he received the Ushakov Medal for courage and bravery from Russian President Vladimir Putin. After his military service and college graduation, he founded Bundy Construction. He was asked by the City of Toronto to head the new Parking Authority of Toronto and he became an expert in parking and traffic matters. 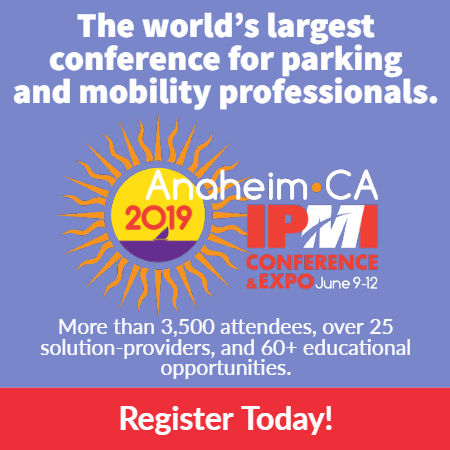 He co-founded the Institutional and Municipal Parking Congress, which later became IPI, in 1962 (read an interview with Bundy and co-founder James Hunnicutt, CAPP, here) and became its president, and he was a frequent speaker on parking and transportation topics. He later served many roles in and around Toronto and was a weekly columnist for the Toronto Sun newspaper. Bundy is survived by his wife of 61 years, Trudy, five children, eight grandchildren and a host of nieces and nephews. His full obituary can be found here.